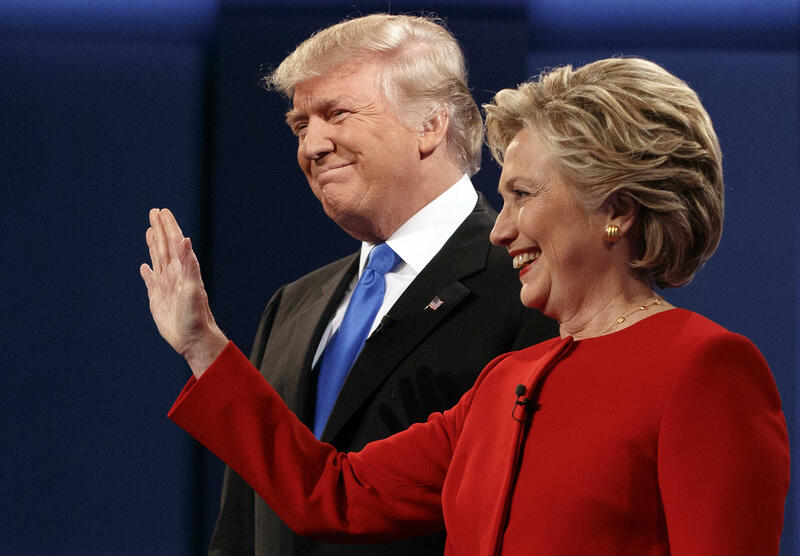 RALEIGH -- Hillary Clinton ripped Donald Trump on Tuesday in Raleigh for showing up unprepared for the first presidential debate and, reliving several key moments from Monday night, questioned the Republican nominee’s commitment to American families and his responsibility to pay his taxes. Did Trump lose steam as the debate went on? Clinton also recalled the moment at the debate when Trump said it was “called business” to cash in on the housing market collapse. “I don’t think I’d make a big bragging point out of that,” Clinton told the crowd. “He basically said yeah, if the housing market crashes I can go in and buy stuff and make some more money. I’ve got to tell you, what kind of person believes that? What kind of person would want to root for 9 million families losing their homes? Earlier on Tuesday, Clinton hit Trump​ for saying in a TV interview that there was a problem with his microphone during the debate. Clinton’s response? “Anybody who complains about the microphone is not having a good night,” she said. Clinton also said that she is looking forward to debating Trump again in St. Louis, and again in Las Vegas, in a few weeks. “One down, two to go,” she told the crowd in Raleigh.